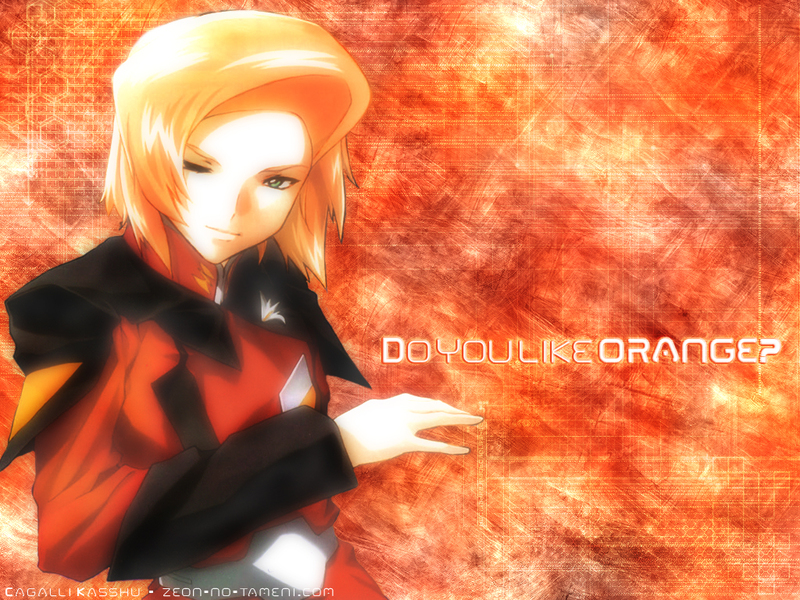 Mobile Suit Gundam SEED Destiny Wallpaper: Heine - Do you like orange? Minitokyo »	Mobile Suit Gundam SEED Destiny Wallpapers » Mobile Suit Gundam SEED Destiny Wallpaper: Heine - Do you like orange? so, it's very orange, right? Hmm... but the scan looks pretty blur to me.. x_X Maybe you can try to sharpen the scan. And it looks like there's some extraction problem with the scan..